1) The Oprah effect – leveraging the power of influencers (something we’re equally as passionate about, be those influencers celebrities, online powerhouses or media outlets). 2) The Incubator Effect – see below. 3) The About You Effect – making sure your campaigns are personalised and interactive. 4) The Big Effect – using all the data at your disposal to serve each customer exactly the right content and experience. 5) The Optimal Mix – social networks, the wider internet, your own website: online is now a multichannel environment in and of itself. In layman’s terms: throw things at the wall and see what sticks. That might seem obvious, but it’s actually incredibly brave. It’s easy to dance around ideas without committing but, until you actually take action and see a strategy’s effect in the real world, it’s all just hot air. 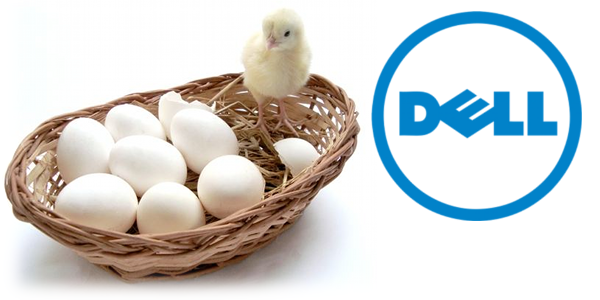 Famously, Dell took this approach even further with their inspirational IdeaStorm site (which set the precedent for idea-sourcing initiatives such as Starbucks’ My Starbucks Idea and even President Obama’s OpenGov) – ensuring there’s no end to the ideas they can trial from one month to the next. So ask yourself: when did I last try something genuinely new? When did I last experiment? If the answer is “a long time ago”, well – there’s the wall… start throwing. Off the peg social commerce for your brand’s Facebook page: why wait?